Today, while trawling the dusty depths of Monsieur Jean Laplanche’s old psychoanalysis texts hidden in even dustier boxes in the bowels of Château Marey-Monge, we unearthed a very vintage Château de Pommard postcard dating back to 1976. It got our own belly’s racing about what to cook for tonight’s dinner … and what to drink! 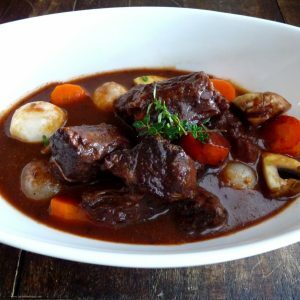 This old-school item of marketing, the bright idea of the Château’s Head of Marketing Nadine Laplanche at the time, details a recipe for “Le Boeuf Bourguignon”, Burgundy’s signature meat stew, a rich and hearty meal, guaranteed to warm the soul. And, of course, no Burgundy dish is complete without being paired with a wine. 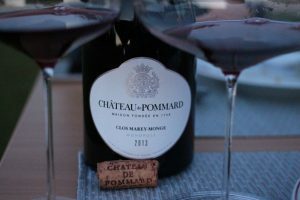 For this particular postcard, the 1976 vintage of Château de Pommard’s Grand Vin fit the bill. 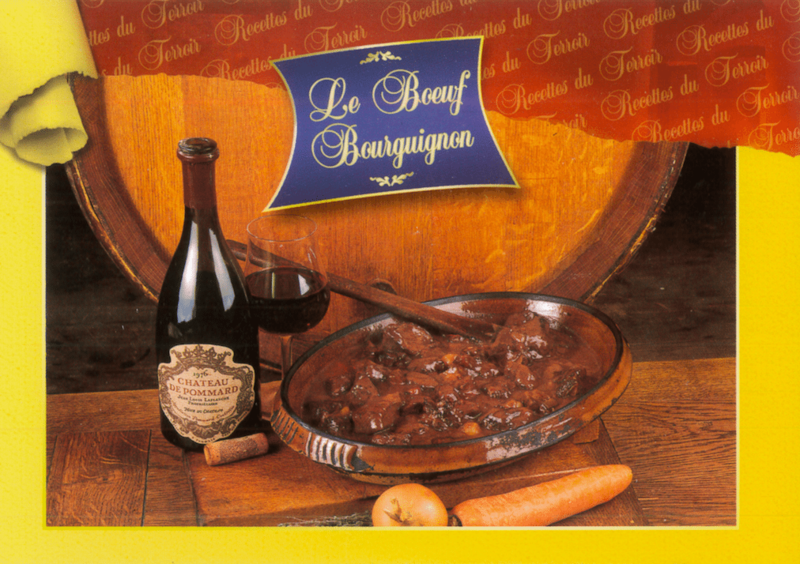 Grand Vin: Château de Pommard’s vintage postcard recipe for “Le Boeuf Bourguignon” from 1976. 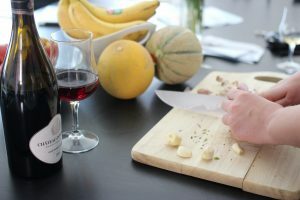 Ahead of the weekend, we thought we’d share this classic Burgundian recipe with you, just in case you were hankering for the taste of home or thinking of having some friends or family over for a feast. Boeuf Bourguignon is the ideal dish to share but as we have no more 1976 Grand Vin left (do you? 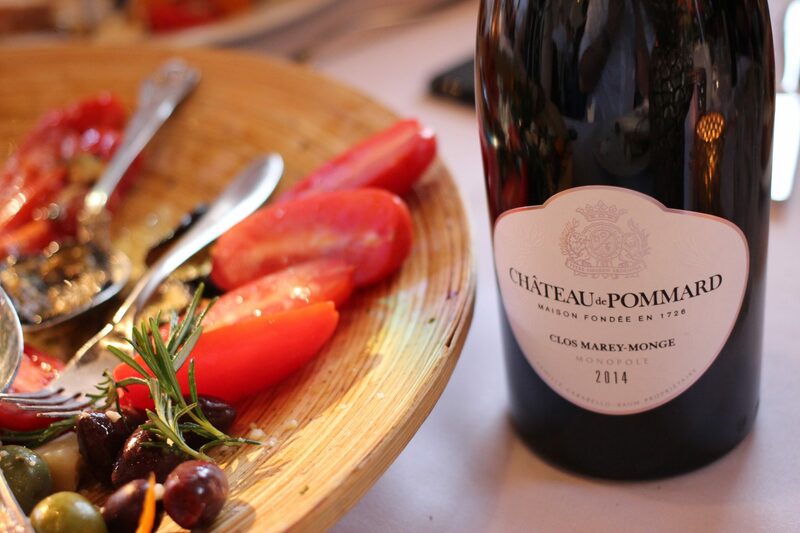 ), this time we’ll pair the dish with an even more elegant vintage – Clos Marey-Monge Monopole 2013. Our award-winning vintage. Dish of the Day: It was the famed Burgundy chef Auguste Escoffier who first published a Boeuf Bourguignon recipe in 1903. 1. Peel and mince the onions and the bacon. Melt 20 grams of butter and 1 tablespoon of oil in a casserole. Let the carrots and onions brown. 2. Remove them and put the meet to brown instead. Put back the onions, add the bacon strips, salt and pepper as you wish and pour the wine – any Burgundy regional you choose that works within your budget. 3. Peel and mince the garlic clove. Add it to the casserole with the carrots and the bouquet garni. Cover up the casserole, reduce the heat and simmer for two hours. 4. Clean the mushrooms and cook them in a pan with the rest of the butter. Add the tomato concentrate. 5. 10 minutes before the end, add the mushrooms, their sauce and remove the bouquet garni. Serve really hot with boiled or mashed potatoes and a side of green beans. In February 2017, The Drinks Business announced the results of its popular and prestigious Global Pinot Noir Masters 2017 Awards. Naturally, Clos Marey-Monge Monopole 2013 won the Master Medal, receiving a score of 95/100. Clos Marey-Monge 2013 continues to be highly rated and reviewed. Little wonder, considering the gifts on display. It’s the waves of fresh roses that come first, evolving into fragrant woody tones, supported second by sweet spices, dark grapes and a subtle pulse of cinnamon. The palate expresses lots of ripe fruit combined with damp earth and walnuts, smells that point to several years of aging. 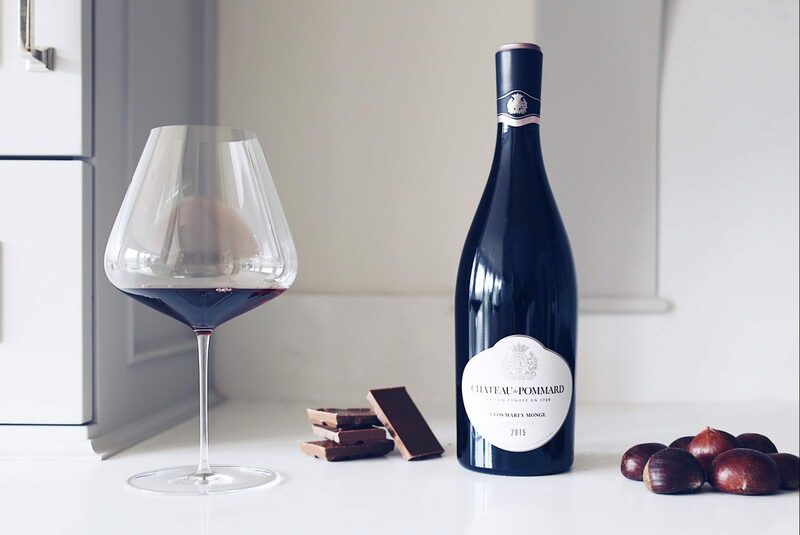 Firm and dense in structure, with velvety tannins shining through the dark ruby glow, Clos Marey-Monge 2013’s medium body and high acidity offer remarkable complexity and an endless, persistent length. After the small yield, but delicious flavors, of the 2012 vintage, 2013 was another year mother earth proved her hegemony over the vignerons and vignobles of Burgundy. The bud break was relatively late, seeping into June, following a cold and rainy Spring. Throughout June, intense rainfall delayed floraison (flowering), introducing an increased risk of blight. 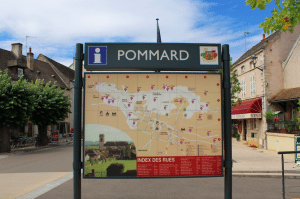 Pommard, as well as surrounding appellations Volnay, Beaune and Savigny-lès-Beaune experienced a near-fatal hailstorm, identical to the power that struck in 2012. We lost fifty per cent of the harvest, and a lot of sleep, in June. In July and August, the weather turned again, this time for the better. Warmth and sunshine clothed the vines like a large hug, guiding the grapes to ripen perfectly at the end of September. The harvest began on September 23rd, with Clos Marey-Monge bare of all ripe fruit come October 2nd. The year’s unstable conditions struck again with huge storms across the region’s vineyards on October 5th and 6th. Thankfully, just a few days too late to do any more damage to the overall yield. For more information about The Drinks Business Master Medal Report 2017, please read our article!